Colour Requirements For Buildings On Great Barrier Island. Auckland City Council has notified a new district plan, the Auckland City District Plan - Hauraki Gulf Island Section, notified on the 17 September 2006. Colour requirements for building in the settlement areas on Great Barrier Island (notified on 17 September 2006) Auckland City Council has notified a new district plan, the Auckland City District Plan - Hauraki Gulf Island Section, notified on the 17 September 2006. 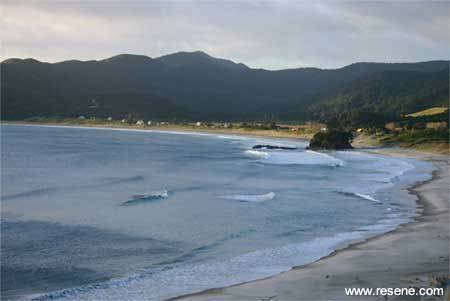 As part of the plan one of the key features for Great Barrier Island settlements is a rule which is a permitted standard for colour. It replaces the existing consideration of colour as part of a resource consent process. The purpose of this is to avoid adverse visual effects on the landscape resulting from dominant bright or light colours. After analysis there were considered to be two main factors that contribute to adverse effects from dominant finishes on buildings. These are the reflectivity and the greyness content of the finish. The rule allows flexibility with hue, so long as the colour has a reasonably heavy weight to it. The permitted standard uses an A-E greyness grading system based on the British Standard BS5252:1976 - Framework for Colour Co-ordination for Building Purposes, combined with different levels of reflectivity. 1. The use of natural or stained timber as exterior building materials. Such materials are not subject to ( 2. ) below. i. 60% for greyness groups A or B.
ii. 40% for greyness groups C.
Where the materials are used for a roof cladding, they are of a colour which has reflectivity value of no more than 40% for greyness groups A, B or C.
Provided that ( 2. ) does not apply to windows, window frames, bargeboards, stormwater guttering, downpipes or doors. These items may be of any colour. View colours from the BS5252 colour range that meet the permitted standard. View summary list of BS5252 colour range. 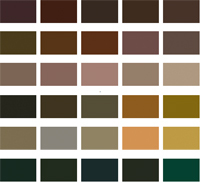 Order a Resene BS5252 colour chart.